Previous board meeting minutes were approved (are posted on web). Discussed need to complete IRS form (John will work with Scott) and for a “reminder” system for future years. Dianne will start a calendar system on website (?) to prompt important functions. Arsenal Hill Building: CoTMD will be able to continue to use the building at the current rate and has dates booked through June of 2010. We have received confirmation of this arrangement in writing; Connie will post the letter or copy for other board members. Since there is no guarantee this arrangement will continue past 2010, we discussed the advisability of both planning for a potential rent increase, and continuing to pursue other venue options. Allocation of resources: Discussed the benefit of utilizing local caller(s) more often, which would both support their development and possibly allow for an additional out of town band. Voted to allow Connie to contract with a third out of town band for this season. Connie has a number of new bands and callers lined up and is working on completing the schedule. Discussion of issues involved and ideas for potential candidates. 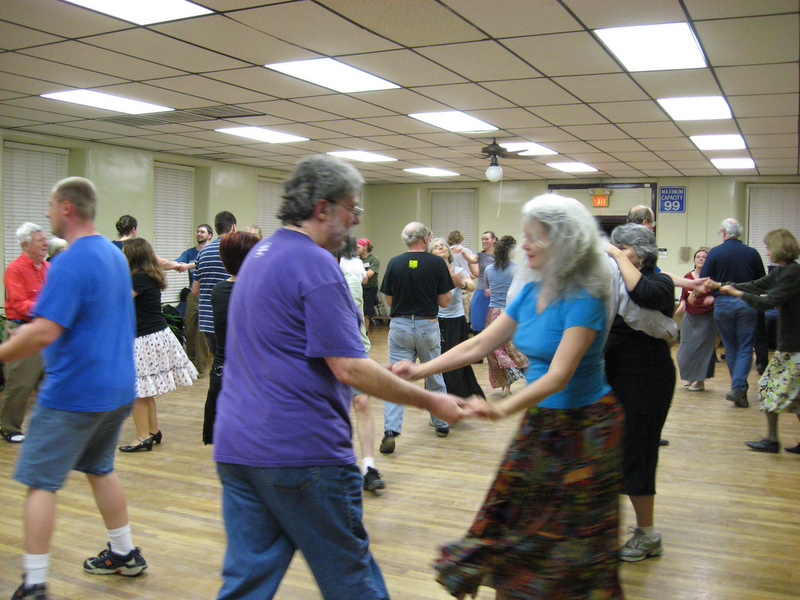 We will also reconsider changing the week of our monthly dance next season to allow us to coordinate bands/callers with Charleston dances, which are now held on the first and third Fridays. Website/E-Mails: Discussed the issue of limiting the number of e-mails that go out. Dianne is working on a new system that will allow more discretion/control so that information can be posted without automatically going out as an e-mail. There will be a separate e-mail list and the address will be : contracola@googlegroups.com (?). Virginia has been working on the updating of a new/current e-mail list from the sign-ups at the dances. It was discussed that, for the time being, we may want just one person (Dianne for now) to manage e-mails going out and pictures that will become part of the slide show. Other pictures may be posted to albums. We have had very positive feedback re: the new site. Community Development/Membership Committee: Still working on recording called dances for development of outreach/education program. Virginia continuing to compile new contact information. Discussed concerns re: decreased publicity (see Publicity Committee below). Continuing to try to get brochures into businesses and appeal to Free Times to re-instate listings. Discussed idea of a “Reunion Dance”: i.e., targeting a dance(s) to appeal to former dancers/more experienced dancers and ways of attempting to recruit former dancers back into the dance community. Virginia will send out copies of the old e-mail list. Each board member will review and mark persons which they know/might contact. We will share these at (next?) board meeting and make a plan for contacting. 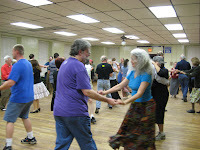 We will bring brochures to dances and ask members to take them to post wherever appropriate. We need to also continue to announce our goals and volunteer needs at each dance. Virginia has done a super job with bulletin boards, nametags, posters, contact lists, etc.and sprucing up our environment. We also have the best food around, as well as now one of the best websites. New Callers---Possibility of inviting Marolyn and/or Kenny to help. Publicity Committee—separate from membership/community development committee, to focus specifically on more exposure in papers, community bulletin boards, networking, etc. This has become increasingly difficult. We, and others, are no longer getting listed in Free Times; despite various approaches; we are listed on their website only. It is unclear if we are listed in The State. Discussed ways of getting more publicity, possibly an article written. Possibility of visiting Free Times office discussed, as well as whether we may have to pay for an ad. Also discussed possible networking with other dance groups re: shared goals (i.e., publicity/ads; dance calendar on web; mutual promotion with brochures, etc.). Next Board meeting scheduled for November 10th. We will plan to hold board meetings on second Tuesdays so that people can plan for them. Also discussed the need to meet on a more regular basis for the time being, until we get our foundation/plan/etc. more firmly established. Tentatively scheduled for meetings on Dec. 8th and/or Jan. 10. After much lively discussion and delicious desserts graciously provided by Connie, the meeting adjourned at 10-something. The slideshow that appears in the sidebar of the website is comprised of the photos in the ContraCola Collection, one of the Picasa albums owned by the contracola google account. These photos also appear across the top of the website. You may edit any photos you contribute, including adding captions. When adding a caption, please do not include the last names of people. If you are a board member and have a problem contributing photos, please add a comment to this post and explain the problem.